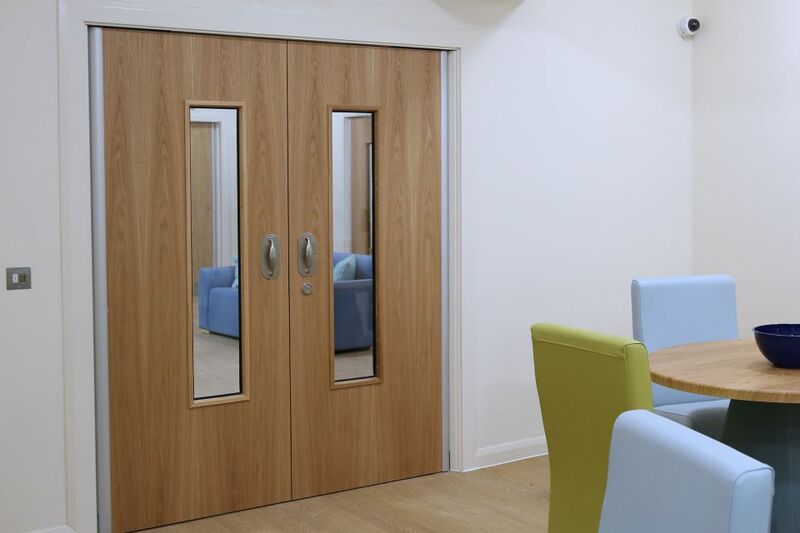 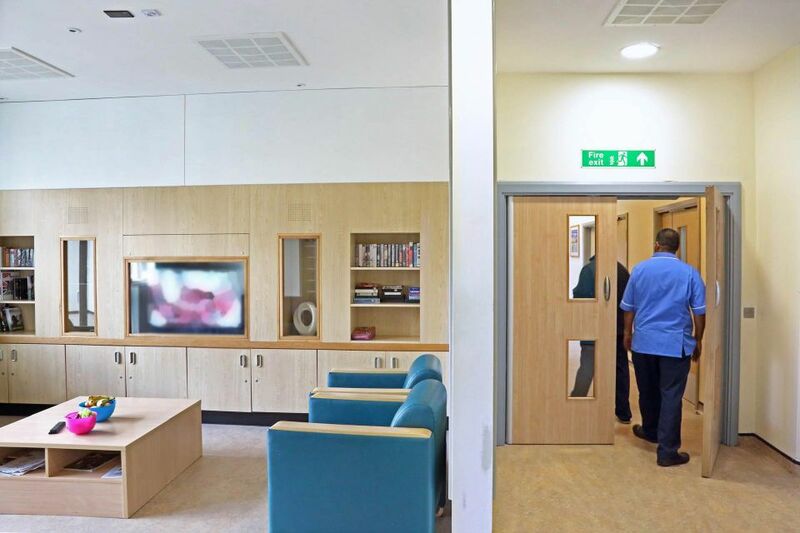 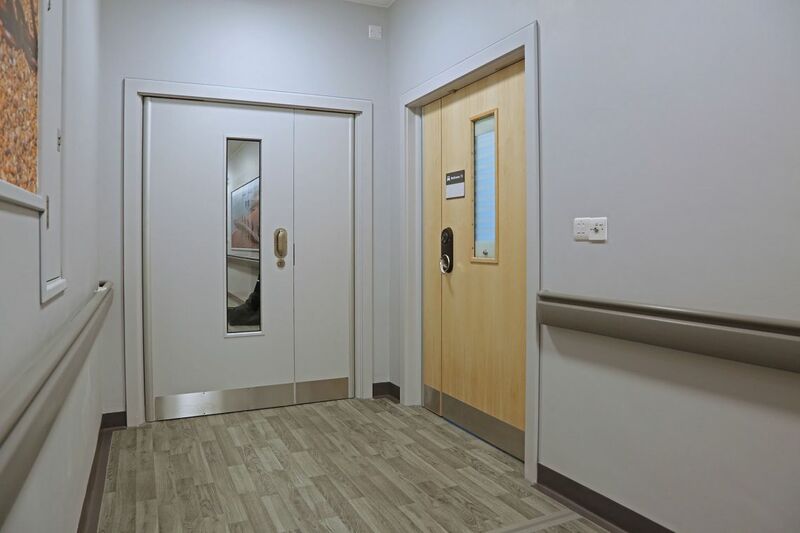 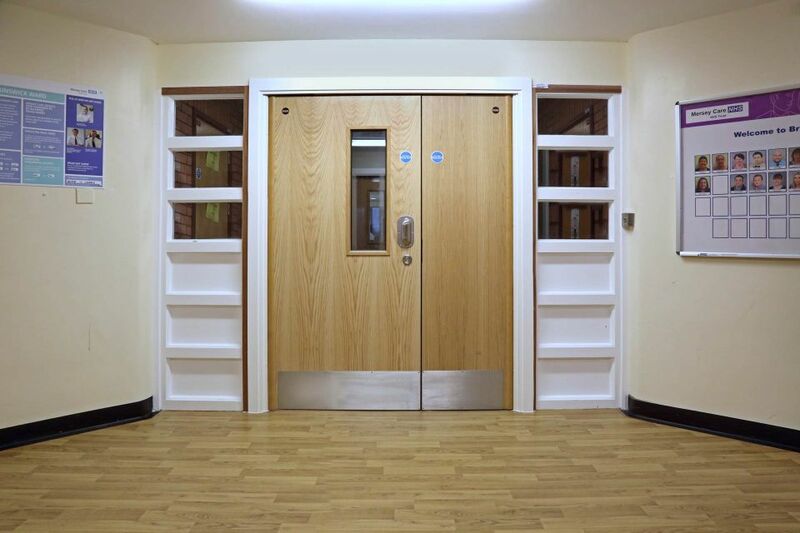 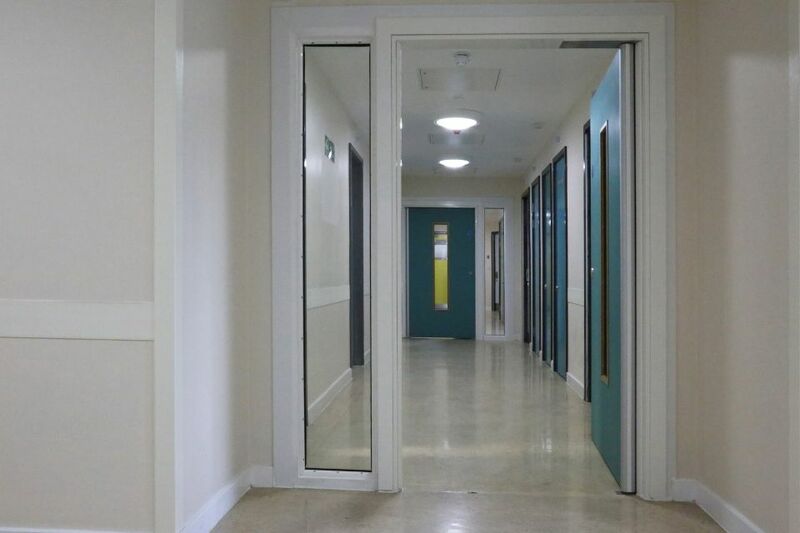 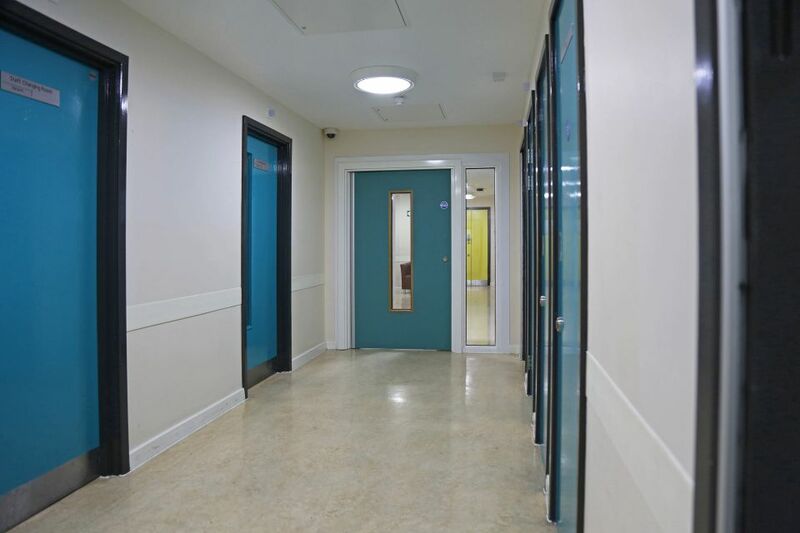 Our secure ward entrance and cross-corridor doorsets seamlessly balance robustness with aesthetics. 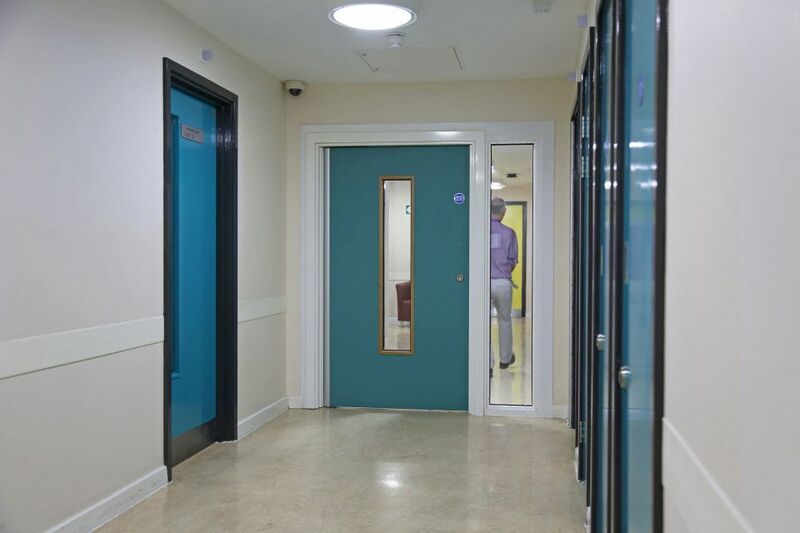 As well as addressing fire containment, the internal back check of corridor doors stops doors being slammed or used as a weapon – making life safer. 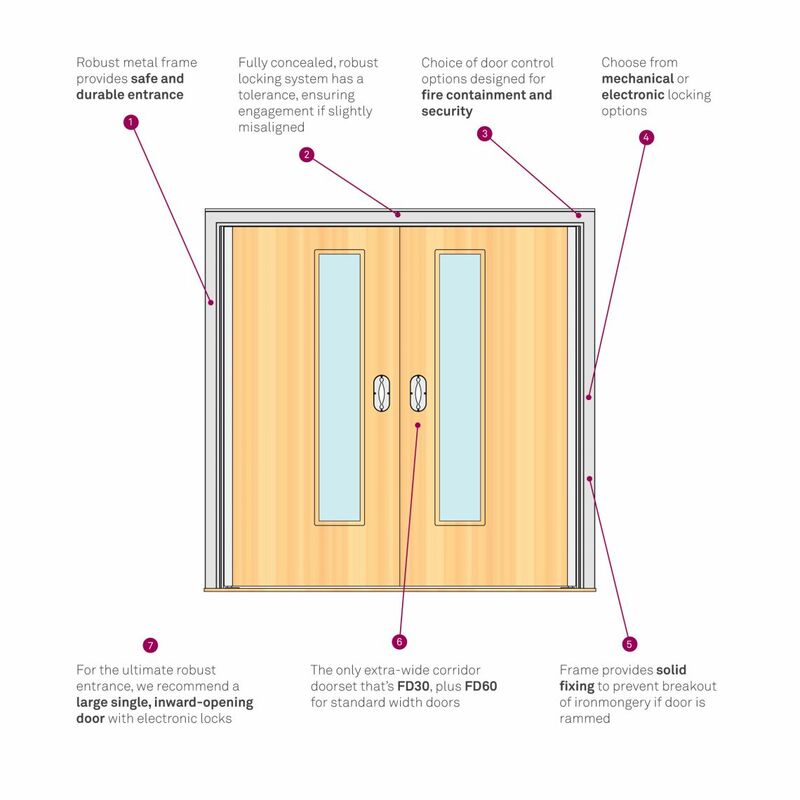 Standard: With adjustable closing power (EN1-4), and closing and latching speeds, the door can be set up to ensure it closes every time, keeping the area secure. 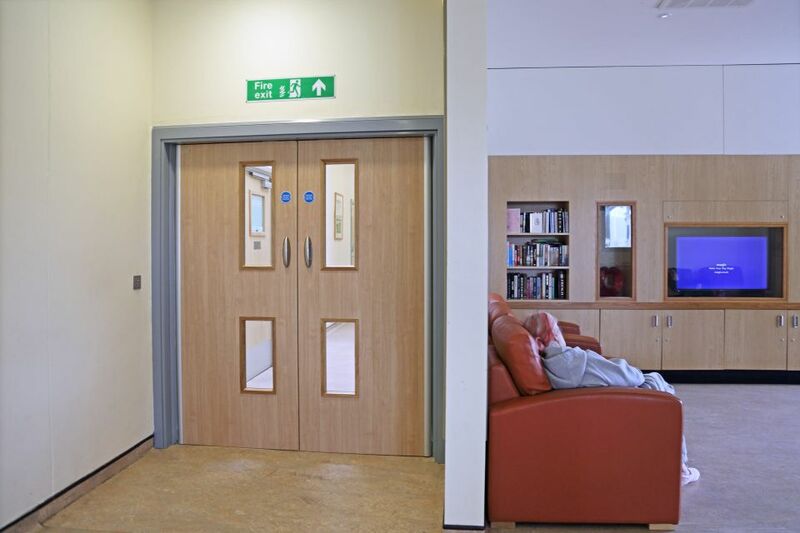 Hold-open: The concealed hold-open closer allows doors to be left open throughout the day. 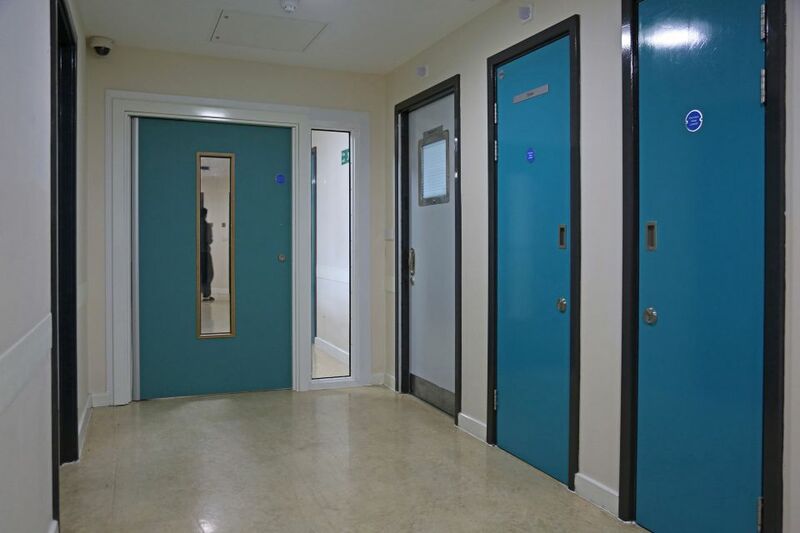 However, it also connected to fire and smoke alarms to ensure the doors close to maintain fire compartments. 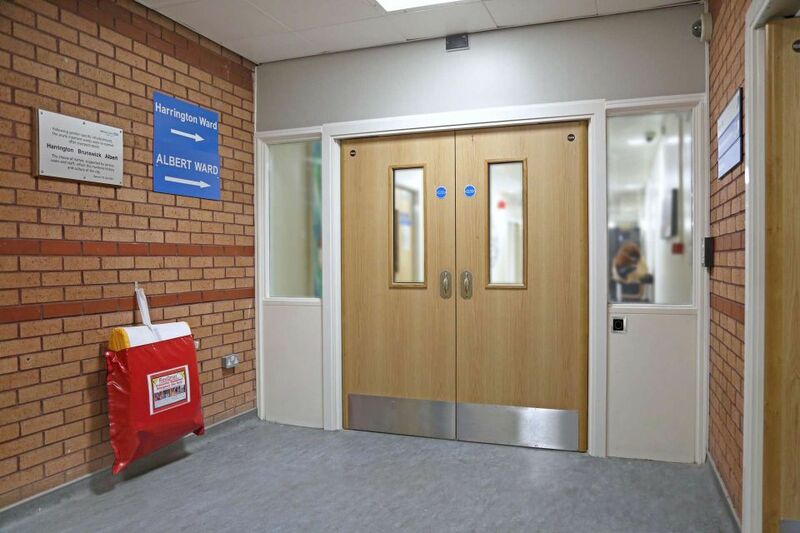 Designed for securing ward entrances, they can be fitted with mechanical or electronic locksets – helping to increase security and control access to certain areas. 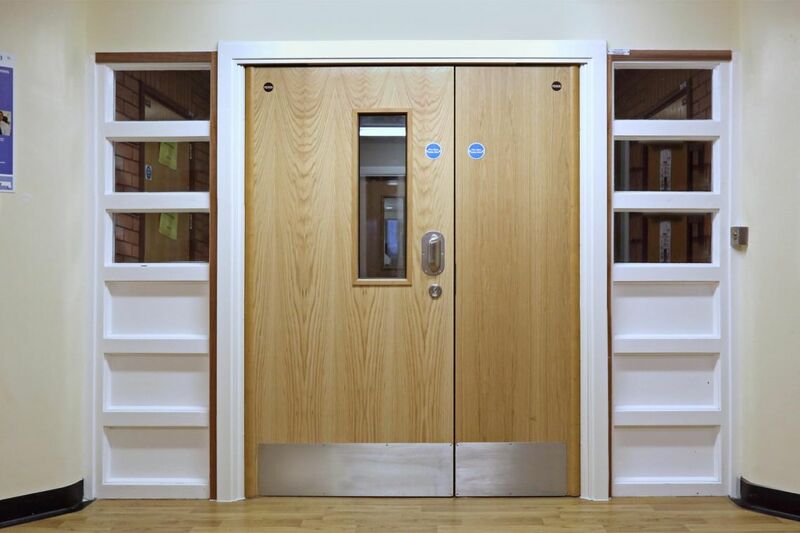 Electronic: Recommended for heavy-use doors, electronic locks are quicker and easier to operate than mechanical ones. 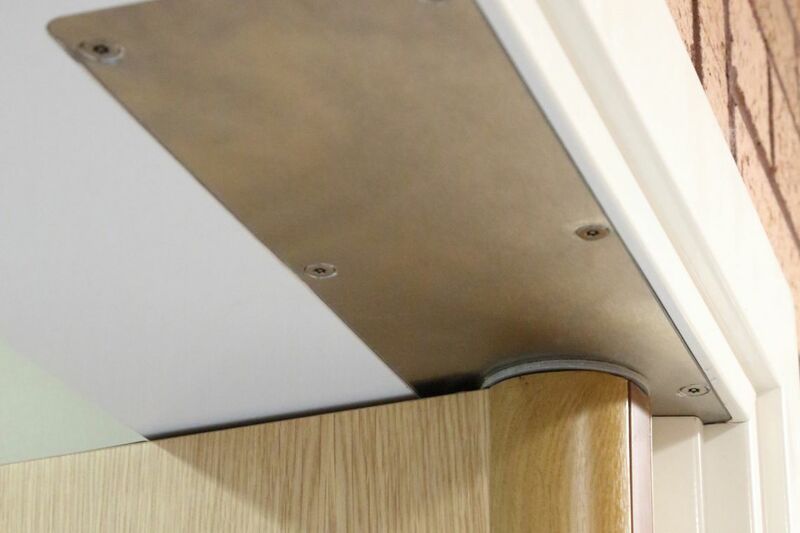 And our electronic lock is fully concealed in the frame head, eliminating surface mount maglocks and making the entrance less institutional. 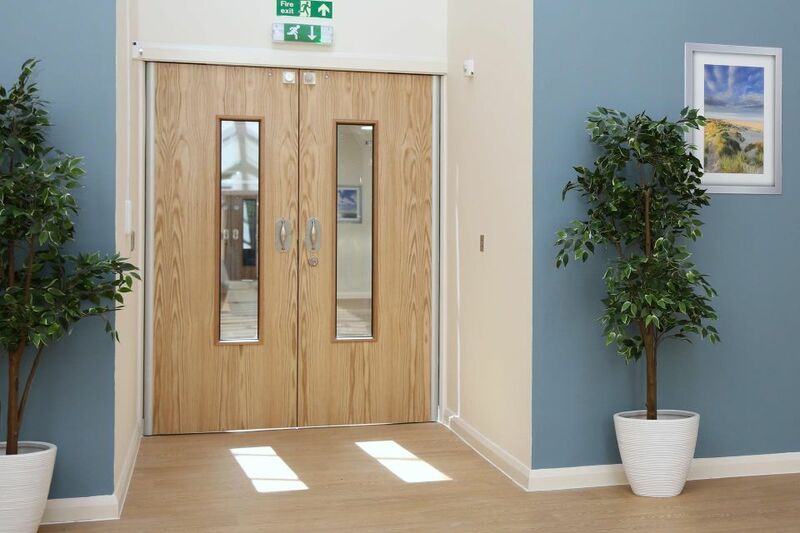 These can be incorporated into your existing access control system, or used with our smart platform, providing a real-time audit trail. 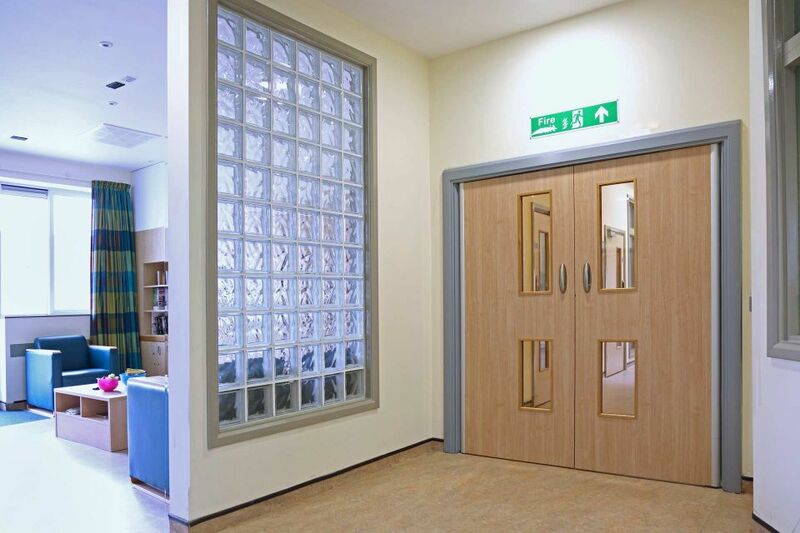 Mechanical: Corridor doorsets can also be fitted with our 5-way or 1-way SOS mechanical locksets. 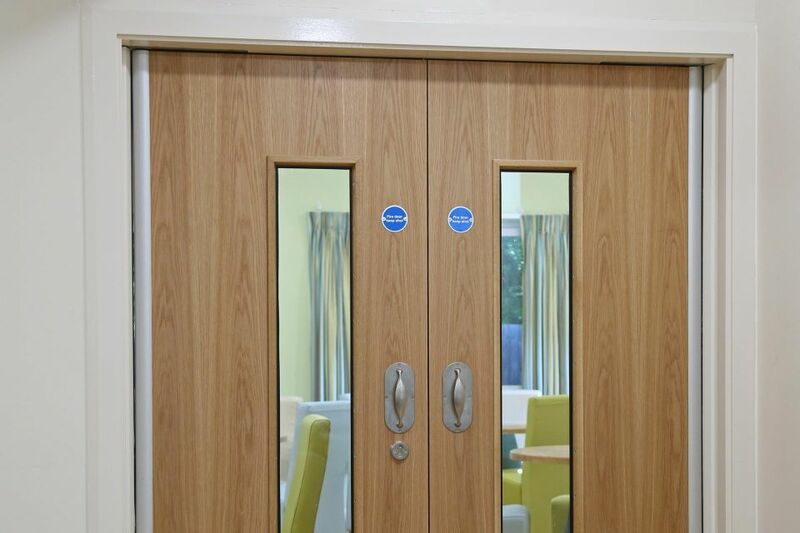 The metal frame provides a solid and secure fixing on the ward entrance, preventing breakout of ironmongery if door is rammed. 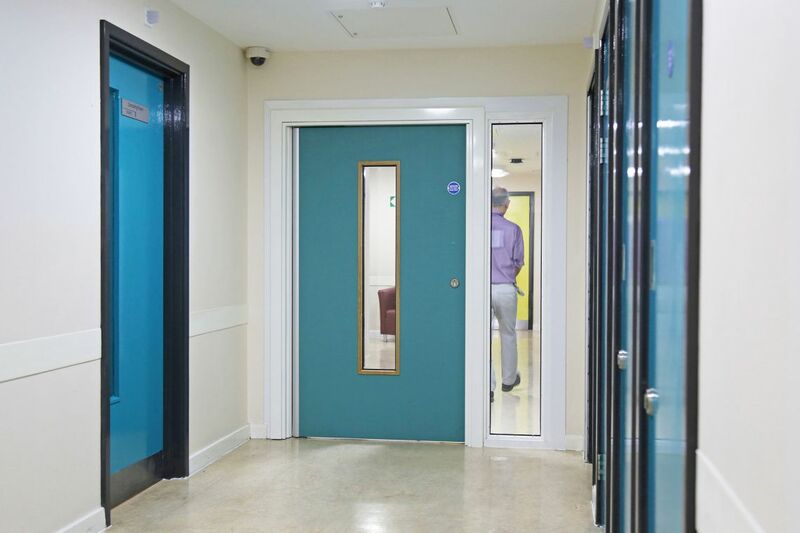 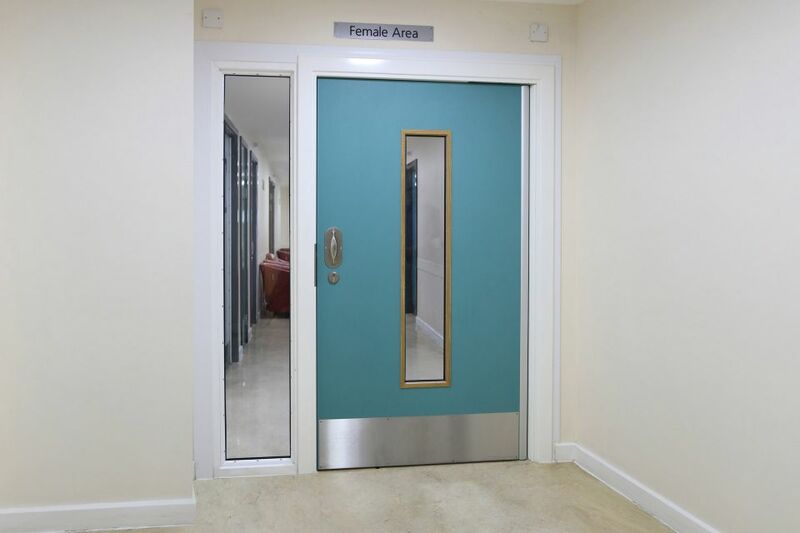 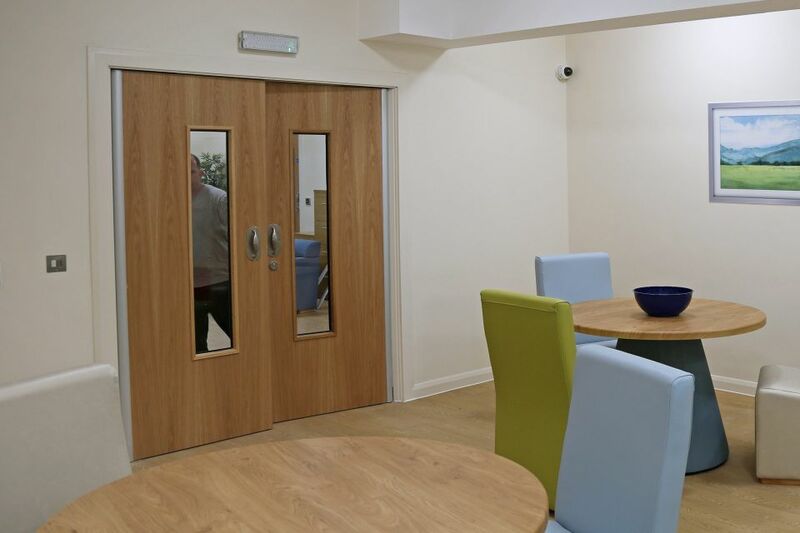 To combat this issue, the Trust installed our single-leaf doorsets with concealed hold-open closers, offering superior safety for service users by reducing the ligature risk. 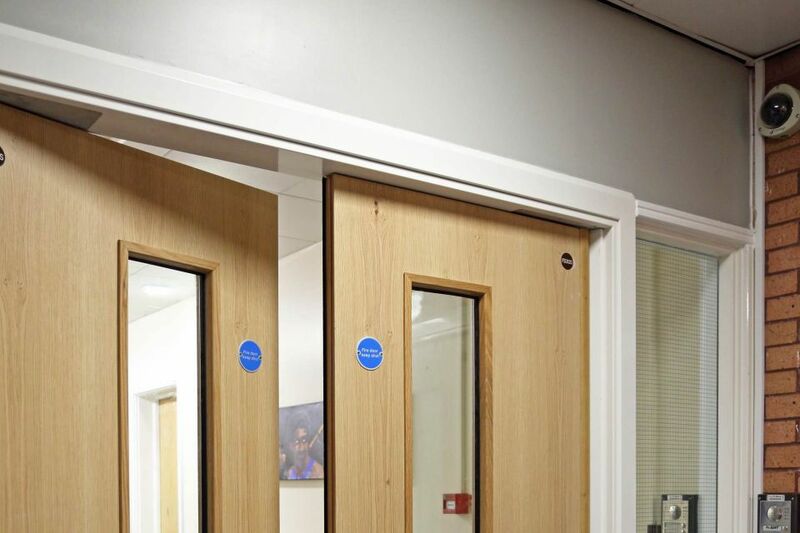 And by using a vandal-resistant PVC facing, this also helped to brighten the space and minimise regular maintenance costs.